The World’s Biggest Annual Sporting Event! On 1 July 1903, 60 pioneers set out on their bicycles from Montgeron. After six mammoth stages (Nantes – Paris, 471 km! ), only 21 “routiers”, led by Maurice Garin, arrived at the end of this first epic stage of the first Tour de France. Having provoked a mixture of astonishment and admiration, le Tour soon won over the sporting public and the roadside crowds swelled. The French people took to their hearts this unusual event which placed their towns, their countryside and, since 1910, even their mountains, in the spotlight. Le Tour has always moved with the times. Like France as a whole, it benefited from the introduction of paid holidays from 1936; it has lived through wars, and then savoured the “trente glorieuses” period of economic prosperity while enjoying the heydays of great cyclists like Coppi, Bobet, Anquetil, Merckx and Poulidor; it has opened itself up to foreign countries with the onset of globalisation, and now finds itself at the forefront of the debate on the malaise afflicting world sport in general. Over a hundred years after its inception, le Tour continues to gain strength from its experience. This year, le Tour runs from Saturday July 1st to Sunday July 23rd. 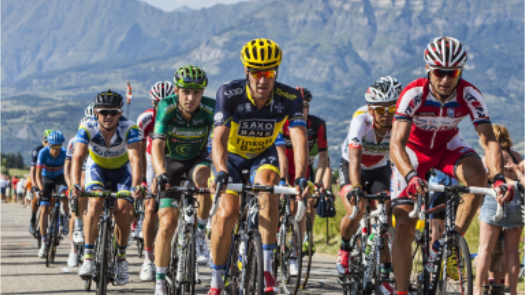 The 104th Tour de France will be made up of 22 stages and will cover an amazing distance of 3,540 kilometres. This is the biggest annual sporting event in the world and is an absolutely incredible display of human endurance. The race takes place over 9 flat, 7 mountain, 3 hill stages and 2 time-trials. The event truly is a great spectacle and the SBS coverage is really fantastic. 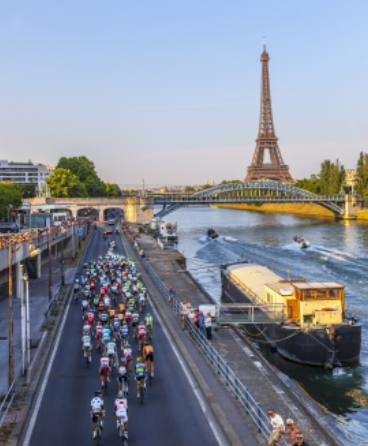 Don’t forget to check out our Tour de France challenges here.